This is an ok base layer. The trouble is that the wind blocking stuff is right up against your body, so you sweat, and kind of get chilled. 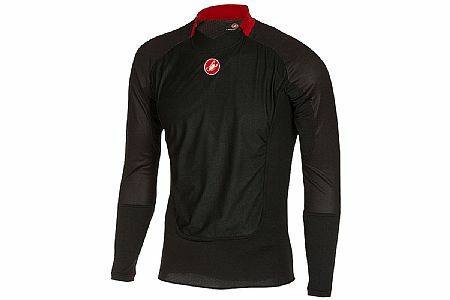 Its better with another base layer under it, but with Castellis notorious tight fit, that might not be comfortable. I had to return one, as the collar stitching ripped (does Castelli think cyclists are microcephalic?). BTD replaced it, no problem. But I went up a size, and its still pretty tight. XL now, and Im a pretty average sized guy. So go up a size or two.